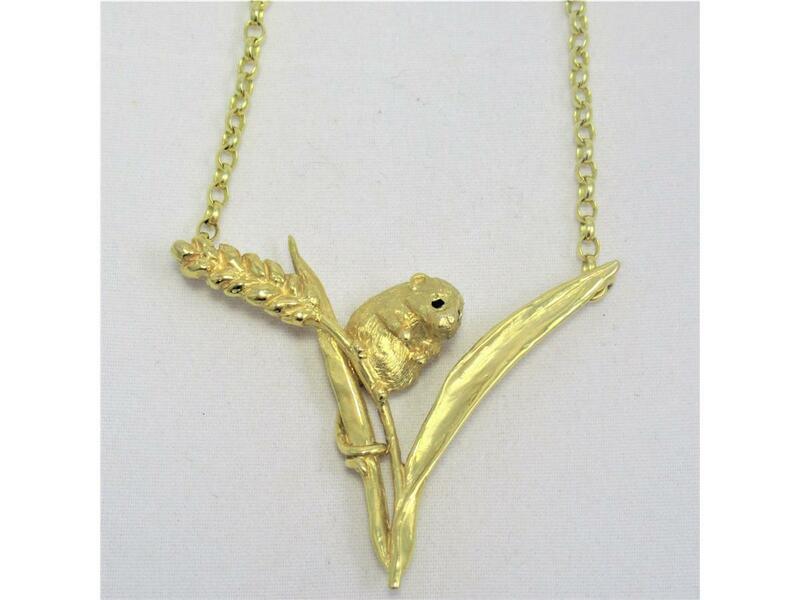 A rarity to come across such an unusual, yet beautiful, pendant. 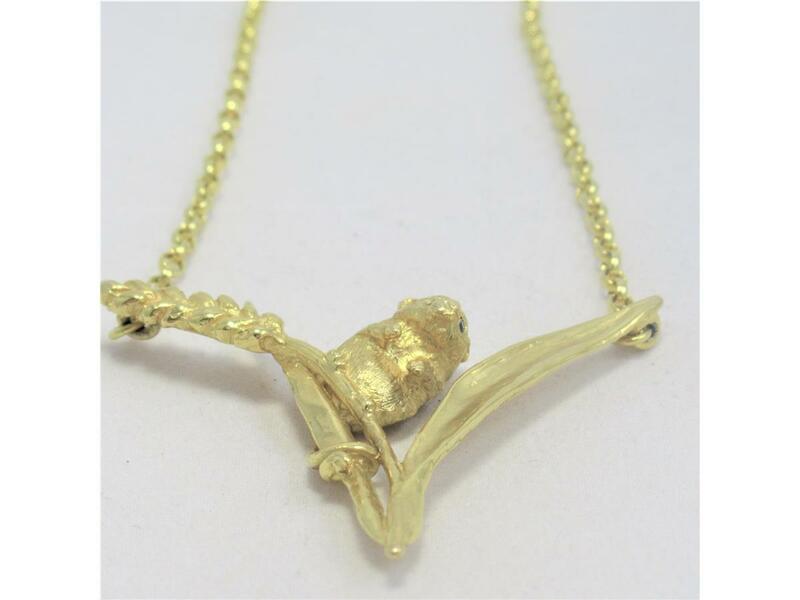 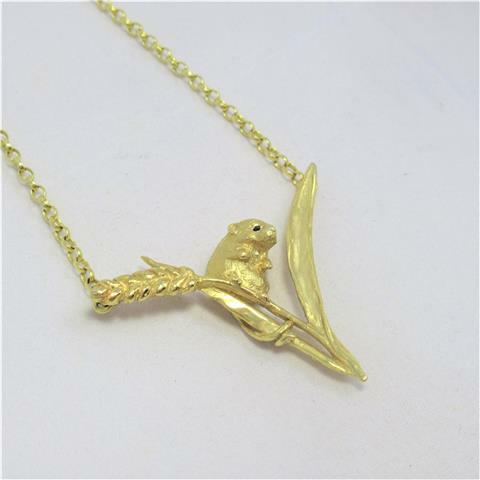 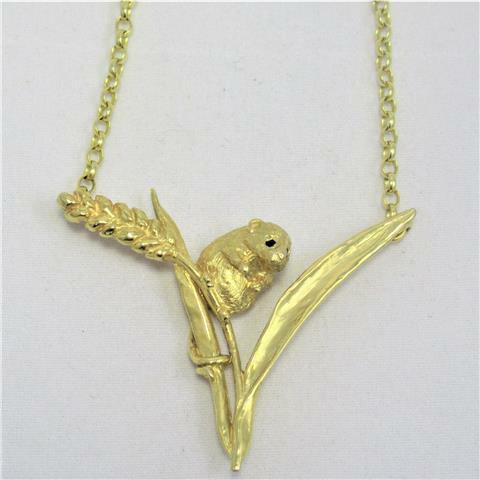 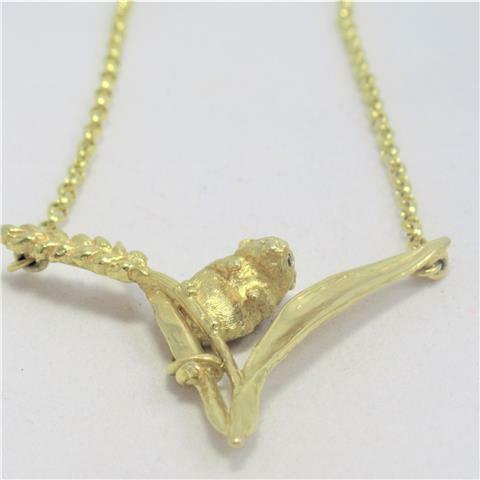 Crafted from 9 carat yellow gold, this pendant features a detailed harvest mouse, complete with a gem set eye. 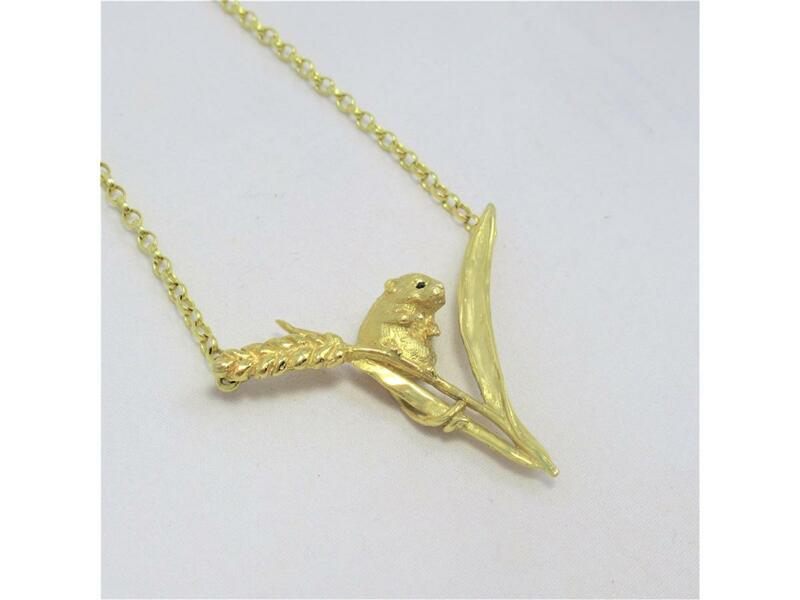 Would make for a memorable gift that is sure to amaze.